Now, I’m a city girl, pollution in my veins, CO2 emisions entwined in my Primarni Blazer, smog blowing out my nostrils…. I mean who could want for better? Well of course there is better and it might just be outside your front door. I for one moved slightly out of Zone 4 (Zone 5) and have been teased for abandoning the glitzy,sh*ty, gritty life that is The City of London. I have often been told that I am now a friend of sheep’s and cows and all things rural! , To be fair I think that’s a slight exaggeration on their part but I’m not one for splitting hairs. 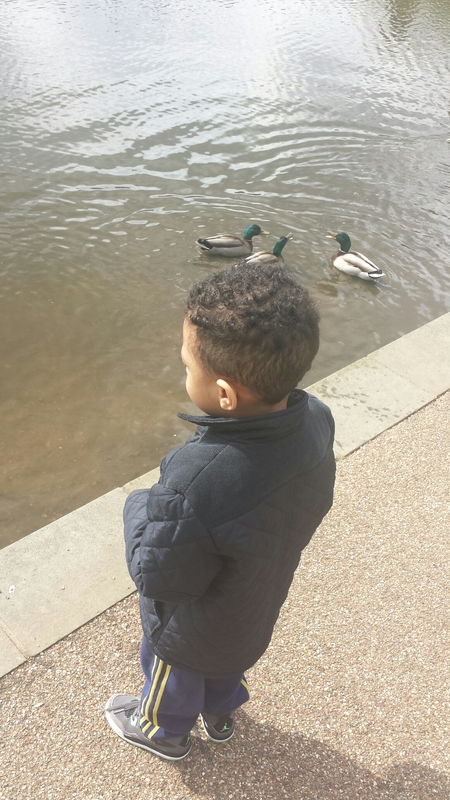 After a bout of illness I felt it would be good for my son to go out and explore the “Great Outdoors”, we ventured to an area in Surrey called Tadworth to feed the ducks and chill out. 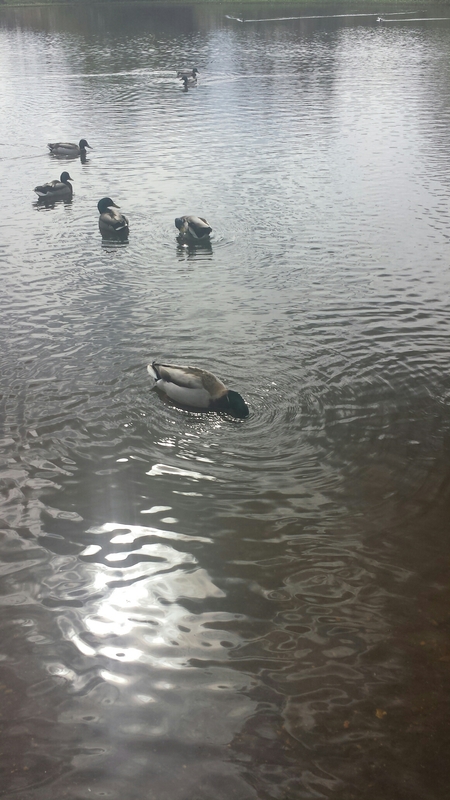 The sun was shining and the ducks were extremely docile it got me thinking about the meaning of life (as you do) whilst in my philosophical trance, I considered if we utilised open spaces enough? I’m a child of West Indian immigrants, many a story has been told about the vast open land of Jamaica, the turquoise seas and rivers at their disposal. I was constantly told how unlucky I was because I had the dirty river Thames or pebbles for a beach I must say their slightly embellished stories left me jealous. So back to the UK, there is such beautiful open spaces that can be found all over London, and the surrounding areas. I found that having a small child has made me want to explore the outside even more. He is learning new things everyday and I love learning with him, seeing life through a child can be a wonderful experience. 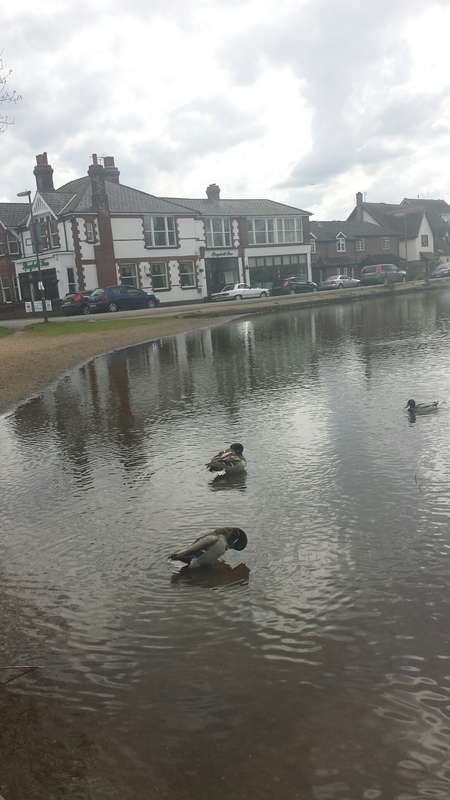 Get active, and get out venture out of the the house, put down the tablet and enjoy the Great outdoors! ESPECIALLY the miles of green space that is available to Londoners.